The first Monitor front page, courtesy of New Hampshire Historical Society. 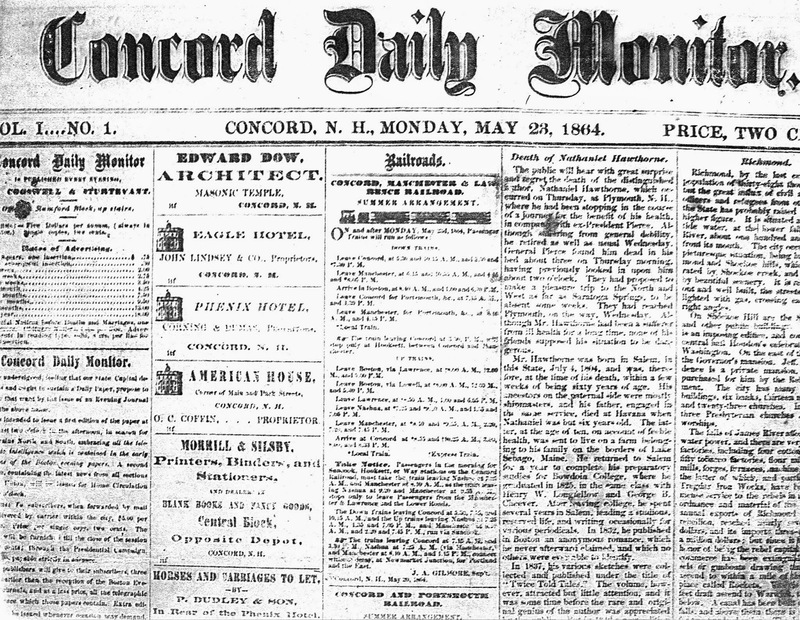 One hundred fifty years ago today, on May 23, 1864, daily journalism arrived in Concord. at the start but was soon forced to take them up. The proprietors were P. Brainard Cogswell and George H. Sturtevant, printers well known in the city. 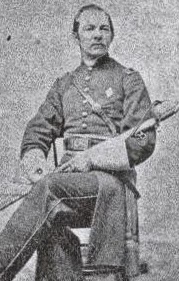 Nine months earlier Cogswell had gone with the governor’s son on a mission of mercy to collect the sick and bury the dead of the 16th New Hampshire Volunteers. Sturtevant’s younger brother Edward, a printer and later Concord’s night constable before the war, had been the state’s first volunteer. He was killed at Fredericksburg in 1862. For their new Concord Daily Monitor, Cogswell and Sturtevant promised to produce a first edition before 2:30 p.m. each day to make the trains headed north and south. This paper would include “all the intelligence” available from the Boston morning papers. Home subscribers would receive a second edition printed at 5. At a cost of $5 a year, it would be cheaper and earlier than the Boston evening papers. The publishers’ timing was poor, their luck sour. 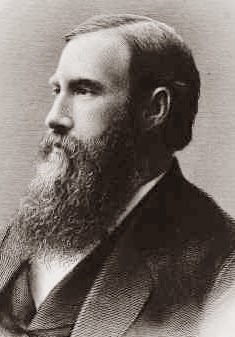 The governor, Joseph A. Gilmore, had strong-armed 40 local men into guaranteeing a total of $3,000 to support the new capital daily, but only half that amount was ever raised. Like other necessary printing commodities, the price of white paper spiked to 27 to 30 cents a pound because of the war. Page composition cost more than ever. The two publishers were to produce the paper but leave the content to hired guns from Massachusetts. J.M.W. Yerrinton, a Boston stenographer of high repute, came north to cover the Legislature. 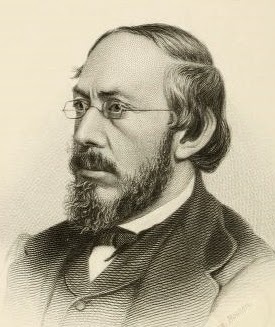 Gilmore invited William S. Robinson, clerk of the Massachusetts House, to be the editor, and Robinson took the job. Robinson was a 45-year-old former Whig who had slid easily into the new Republican Party during the 1850s. He had written under the pen name “Warrington” and edited the Courier in Lowell. 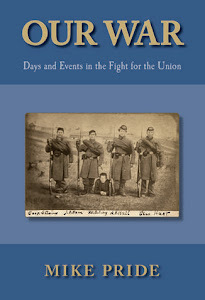 His biographer wrote that Gilmore was seeking a strong, independent voice, not “a mere tool to a faction,” although he also wanted “an uncompromising advocate” for the Union cause and the Lincoln administration. The hiring of these seasoned outsiders would help make the Monitor “a live paper, and a permanent credit to our City,” Cogswell and Sturtevant wrote. They promised daily news from Concord, surrounding towns and local soldiers at the front. “It will be a thoroughly independent sheet – fearless in its exposure of intrigue and corruption and ‘bound to swear to the words of no master,’ ” they wrote. The most prominent story in the four-page first edition of the Monitor was the Boston Journal’s account of the death of Nathaniel Hawthorne four days earlier. Hawthorne had died in the night in a Plymouth hotel with his friend Franklin Pierce sleeping fitfully a few feet away. The Monitor was a Republican paper, its editor an anti-slavery man. Cogswell, the co-publisher, who was from Henniker, had once lived in the household of Parker Pillsbury, Concord’s leading abolitionist. Pierce, a pro-peace, pro-compromise Democrat who also lived in Concord, had long served as a whipping boy for Republicans. But when Robinson wrote a follow-up about Hawthorne’s funeral, he gave Pierce the benefit of the doubt. The war news in first Monitor included a letter from John D. Cooper of Concord, adjutant of the 2nd New Hampshire Volunteers, sharing the latest from the regiment. Cooper had survived a gunshot through the lung at second Bull Run and was hit a second time at Gettysburg. Now he reported that among those killed at Drewry’s Bluff, a key point in Richmond’s defenses, was 43-year-old Private Charles O. Gould. One of the Prescott brothers, who made organs in Concord, was Gould’s brother-in-law. Luther F. Locke, a Nashua doctor, wrote the Monitor about helping out at a hospital at Fort Monroe, Va. Among the many New Hampshire soldiers there, he saw Maj. Jesse Angell of the 10th New Hampshire. A ball had hit the buckle of Angell’s belt, knocked his sword to the ground and ricocheted through his abdomen and out the back. Angell still hoped to return to battle, but he was sent home a few months later. 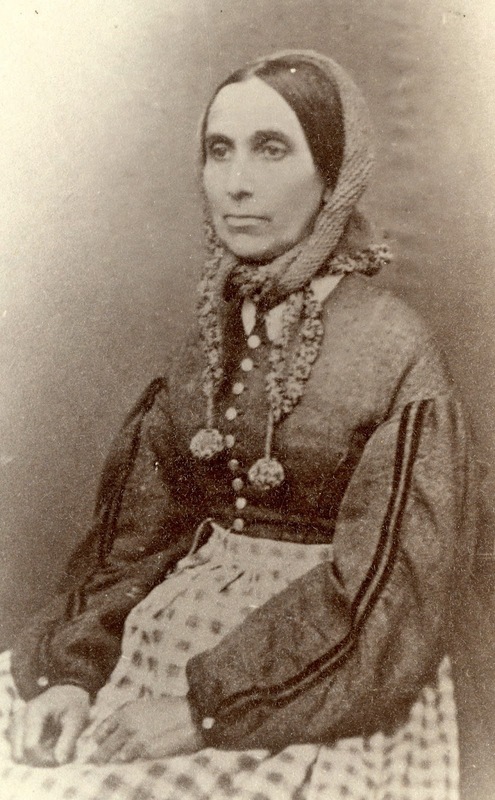 Locke also ran into 49-year-old Harriet Patience Dame, the angel of the 2nd New Hampshire. “I do not see how anyone can well do more,” Locke wrote of her. At the start of the war, Dame had taken several young soldiers with measles into her boarding house at Main and Montgomery streets in Concord. Then she signed up as a nurse and accompanied the 2nd New Hampshire to the front. Dame never took a day off during the war, nursing the men and comforting them in any way she could. When Locke saw her, she was passing out strawberries to sick and wounded soldiers, but he believed her greatest gift to them was writing letters home for wounded men. Had he stayed a few weeks longer, Locke would have seen her taking on the severest cases brought in from the slaughter-field at Cold Harbor. Because Ulysses S. Grant’s Overland Campaign had begun in the Virginia back-country, the Monitor carried long casualty lists. The list in the first edition for three New Hampshire regiments in Maj. Gen. Ambrose Burnside’s 9th Corps filled more than two columns. Two days later, the paper ran a list of equal length. As much as war news dominated the paper, the publishers did not ignore the standard fare of journalism. One brief local report disclosed that the two-headed pig brought to town by Elliott Chickering had been sent for preservation to a Boston taxidermist. The Monitor reported the speculation that, once the pig was stuffed, P.T. Barnum was interested in acquiring it for his American Museum on Broadway in New York City. Another brief piece told the tale of a supposed female soldier. Late one night, a Concord police constable found a woman wandering the city streets. She had arrived on the morning train from Boston and had no place to stay. She identified herself as Mrs. Frank Claton, 30 years old. She told the officer she had served 22 months with a western regiment before her gender was discovered and she was booted out. Her husband, a member of the same regiment, had been killed in battle the previous summer, she said. The constable allowed Mrs. Claton, or whoever she was, to sleep in the station house. The 1819 State House needed repairs, raising Manchester's hopes of becoming the state capital. One reason the daily Monitor debuted the last week of May was to report more fully on the coming legislative session. Concord had a special interest in that year’s agenda. In 1863 legislators dissatisfied with access, space and working conditions at the 44-year-old State House had requested proposals to expand and enhance it. They had also suggested that any other city with good railroad service propose building a new State House and becoming New Hampshire’s capital. Seizing the moment, politicos and businessmen in Manchester raised $500,000 by loan to build a State House there. Manchester, they argued, was closer to the state’s population center than Concord and had better railroad connections and a better depot. The new Monitor stuck up for its city. 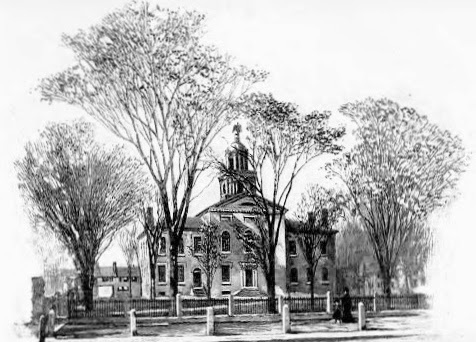 It informed readers of the details of Manchester’s enticements, urged Concord leaders to make a counter-offer and printed any insult from Manchester or support for Concord from papers around the state. In the end, Concord remained the capital. The city put up $100,000 to pay for State House improvements. The old green dome came off, and a new, larger one went up. More space was added for upstairs committee rooms. The city put through Capitol Street to better delineate the plaza around the State House. Though late to the game, the Monitor contributed to Concord’s victorious outcome. To a newspaper whose origins lay in political strife, such a fight came naturally. Tomorrow: Where did the Monitor come from?